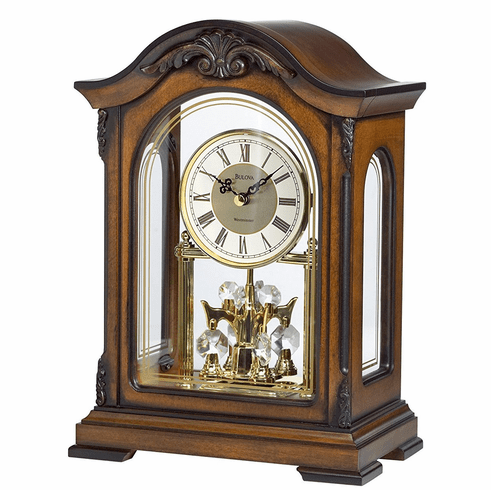 This clock features a solid wood case with an Old World walnut finish. Decorative carved accents. Metal dial. Decorative screened glass front and side panels. Revolving pendulum with crystaline elements. Westminster melody on the hour. Volume control. Engraving plate included.